Sisley Jumper 10-12. Condition is Used. Dispatched with Royal Mail 2nd Class. Brand new Sisley top with a touch of sparkle for the party season. Size XS fits size 8. As the UK's number one heart charity, the cutting edge research we fund has already made a big difference to people's lives. Support the British Heart Foundation's life saving research. Marked Size - S.
Sisley Red Cotton Cardigan_ Medium Button front, lightweight red cotton cardigan. Sizing: Label states size L however would more realistically fit a UK size M-L. Measures aprox 42cm pit-pit Good Condition. From a smoke free home! SISLEY ALPACA WOOL BLEND CARDIGAN. IN A GENTLE TURQUIOSE BLUE WITH WHITE FLECK. LOVELY FLUFFY KNIT. ZIP FRONTED. SISLEY WRAP OVER CARDIGAN ~ SIZE SMALL (10). Lovely soft knit, material is 40% acrylic, 30% mohair & 30% nylon. This gorgeous cardigan is a pale green shade, lovely knit pattern with wrap over ties. Hand wash or machine wash on cool delicate setting. 84% cotton, 11% polyamide, 5% elastane. - Length from nape down: 52 cm. 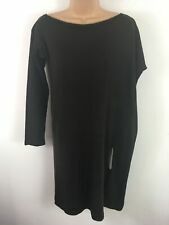 - Sleeve length from underarm: 47 cm. ~ SISLEY ~. PURPLE MOHAIR JUMPER. DO GET IN TOUCH IF YOU ARE NOT AND WE ARE HAPPY TO HELP WITH ANY ISSUES. We are happy to help. Sisley jumper size L vgc. Condition is Used. Dispatched with Royal Mail 1st Class. Sisley jumper dark navy with a subtle crochet pattern on top . Trending . Very good condition. It's size L I don't rather say M and small L as Sisley is smaller in sizing . Please check my other items as I m listing every day due to moving house and not able take all three wadrobes . Thank you . Soft grey funnel neck jumper with 3/4 sleeves. 80% Wool 20% Polyamide. Length from shoulder 25”. In very good condition. A light Sisley Mohair & nylon long sleeved cardigan. Pink in colour with a diamond like pattern on the front of the cardigan. Very delicate simple yet effective. This lovely cardigan from Sisley. It has a lovely feel and is thick & warm. It fastens at the front with poppers & a tie. In gently used condition. Length 40". I have tried repeatedly to get a decent picture of this top without success. It really is a lovely quality jacket / cardigan from Italian label Sisley part of the Benetton group and expensive when new. Condition is Used. Small hole on front. Order before 2pm. 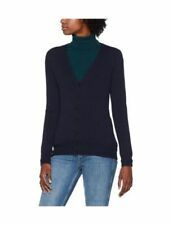 SISLEY @ BENETTON STRIPED V NECK 80% WOOL JUMPER SWEATER M 12 14 16 EXCEL COND. SISLEY @ BENETTON. LOVELY 80% WOOL JUMPER. WILL STRETCH COMFORTABLY TO UP TO 20", AS THERE IS ELASTICATED DETAILING AT THE BACK OF THE WAIST FOR STRETCH, COMFORT & A NEAT FIT. 3/4 SLEEVES WITH ELASTICATED DETAILING, AND ALSO AT THE CUFFS. 80% wool 20% polyamide. Size S large fit - it can fit an M.
Sisley cardigan with detailed sleeves. Xs but long xs. Sisley Dusty Lilac Purple Skinny Knit Jumper Top Crochet V Neck Mohair Mix UK8. May need a camisole underneath. Beautiful made by the famous Italian designer Sisley - grey cardigan RRP£75 with pretty roses applique design -removable neck decoration- it could be used with a dress or another top, as it is very versatile. Sisley Jumper With Mohair. Dispatched with Royal Mail 2nd Class. In great condition, good for autumn and winter. 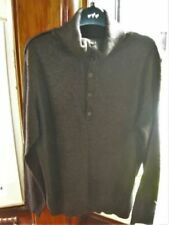 A lovely dark grey wool/wool blend jumper from Sisley. Light pink mohair jumper tunique size S/M/L Large fit - SISLEY. Light pink mohair jumper tunique. Size S - Large fit - it fits S/M/L. Pale pink mohair jumper tunique size S - SISLEY. Pale pink mohair jumper tunique. Sisley Pink Cardigan XS. Condition is Used. Dispatched with Royal Mail 2nd Class. Length approx 24". armpit to armpit approx 17". Great baggy top in the softest wool ,it’s 29” Across 27” Long. no sign of any wear, stunning.